I have a card of 1960s black rally straps from Sonit of England. 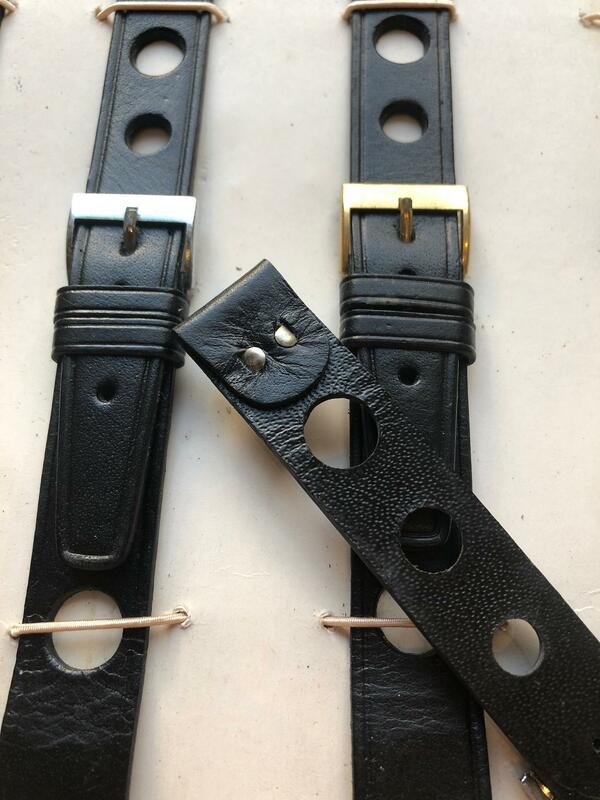 The straps are a black leather with rally holes and suitable for both fixed lugs and springbars. 3 with silver coloured and 3 with gold coloured buckles. Would like to sell the item complete with advertising card to a watch / driving enthusiast. Wear to the card due to long term storage as showing in the pictures.